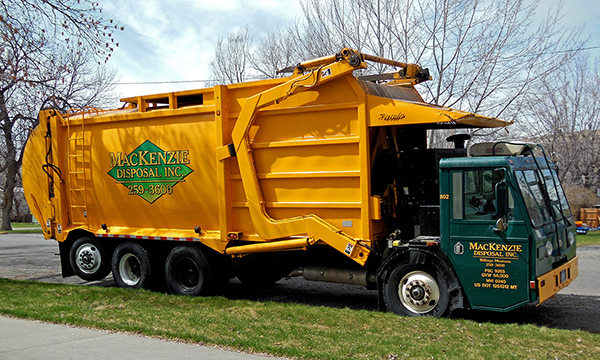 MacKenzie Disposal Inc. is a locally owned company that offers garbage collection services for businesses, apartment complexes and other commercial entities within our service area. With a variety of dumpster sizes we can meet your waste disposal needs. Locking containers are offered at a nominal fee per month to prevent theft of service. We take pride in everything we do and pay attention to the details. Please call our office to arrange for new service or any special services you may need as an existing customer.